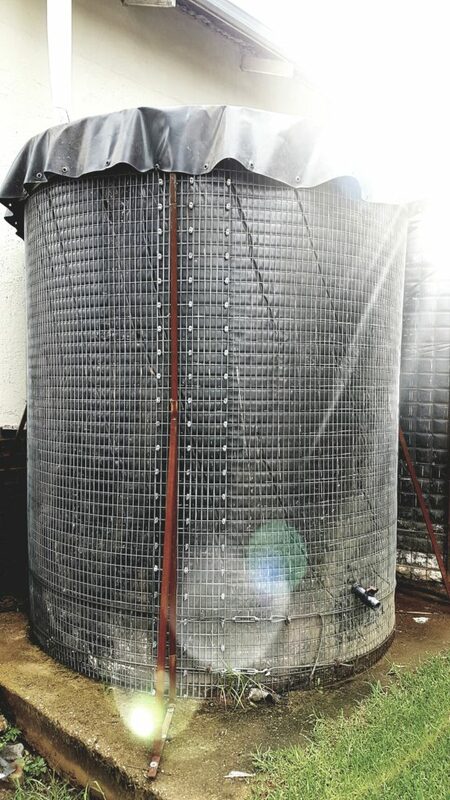 • 420 micron – for use as a standard water tank. Garden use and live stock water. • 620 micron – for use as a potable water liner (Human consumption). • 680 micron – extra heavy duty liner. (Chemical heavy tank) for tougher and more robust applications. 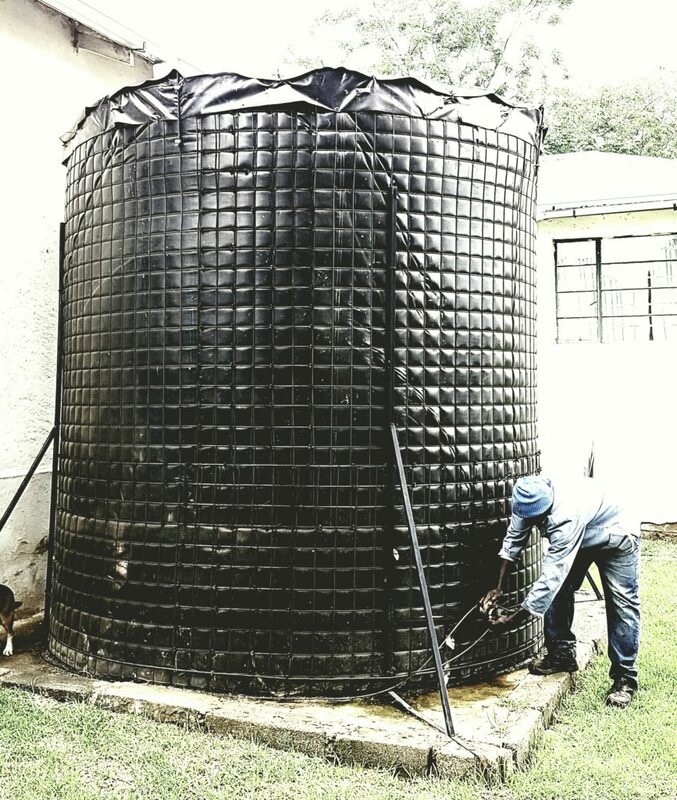 This system of water storage has been manufactured for decades, due to its cost effectiveness and reliability. 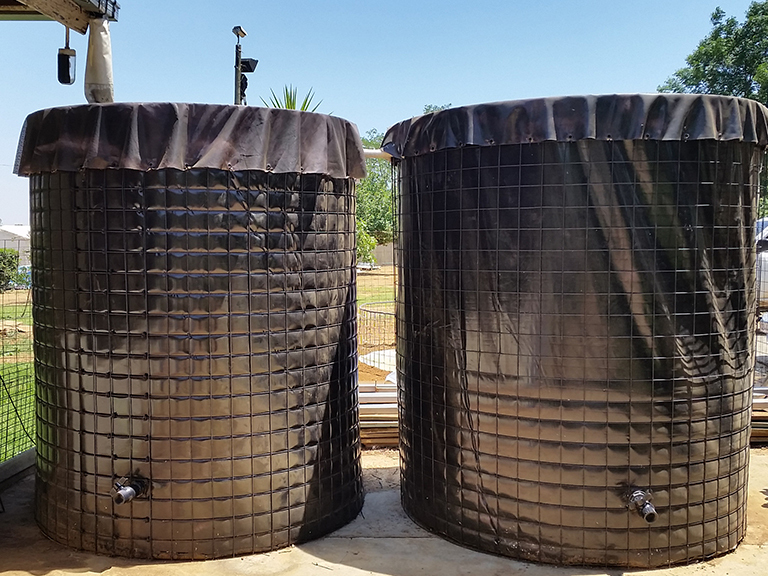 Due to the tanks being packaged in kit form, several units can be transported at a much lower cost than other water tanks. (5-10 units can be put on a 1 ton bakkie). This making it easy to transport to rural and remote areas at a fraction of the cost. CLICK HERE: Series 10/10 – Budget / Domestic Range with painted welded mesh wall. CLICK HERE: Series 50/50 – Industrial Range with galvanized welded mesh wall. CLICK HERE: Series 50/25 – Industrial Range with galvanized welded mesh wall. All ranges offer the 420, 620, 680 micron liners discussed above. All tanks come standard with a 40mm over flow and outlet with tap.